There's are few things more festive than falling snow and flashing fairy lights and Google+ is allowing you to capture the Christmas spirit in animated .gif form. 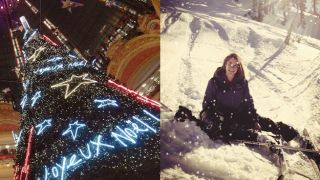 If you upload photos featuring snow for Google's persistent, sort-of-on-it-by-accident social network, the company will Auto Awesome it with actual falling snow. Likewise, if you upload photos featuring Christmas trees, Google will automatically make you a version that features flashing lights! Tacky? Yes. But, you know, it's Christmas. You can see some Auto Awesome festive pics here.